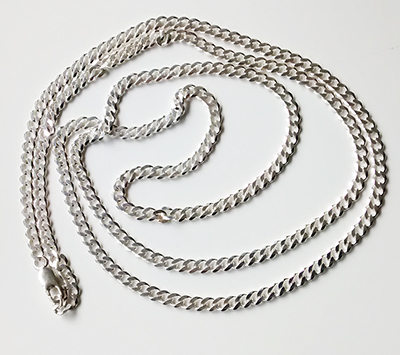 Medium/Heavy weight, 45 inch silver chain slinky, twinkling chain suitable for wearing on its own or with a medium pendant. A good chain for men. Assay Office hallmarked. Weighs 31g.